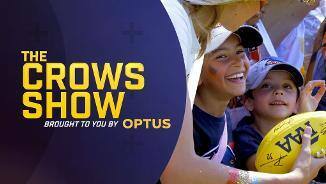 This week on The Crows Show: Celebrate Eddie Betts' 300th AFL game, Find out what the guys do away from footy and Former Australian Cricketer Greg Blewett joins Don Pyke on the golf course. This week on The Crows Show, why are the Crows using pickle juice? 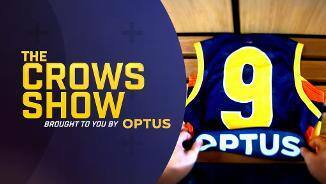 Rory Atkins joins Brodie Smith on the hot seat and Wayne Carey talks about his playing days all thanks to Optus. 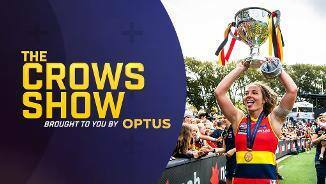 This week on The Crows Show: Chelsea Randall reveals her next move, Andrew Fagan talks about the Crows move into the city and Rhett Biglands joins Don Pyke on the golf course. 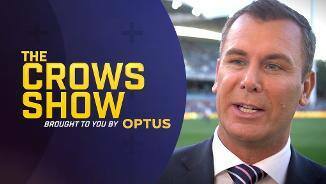 This week on The Crows Show: Brad Crouch speaks exclusively to The Crows Show, John Riddell joins Don Pyke on the golf course and Hugh Greenwood provides a few laughs for Brodie Smith. This week on an all new Crows Show, Rory Sloane creates a unique video for the Club's digital platform, Pykey plays golf with Graham Cornes, Brodie Smith is back with an all new segment. All Brought to you by Optus.